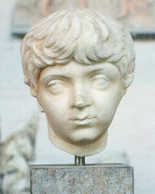 Publius Lucius Septimius Geta was the younger son of Emperor Septimius Severus and Julia Domna and the brother of Caracalla. Geta was younger than his brother by only one year. 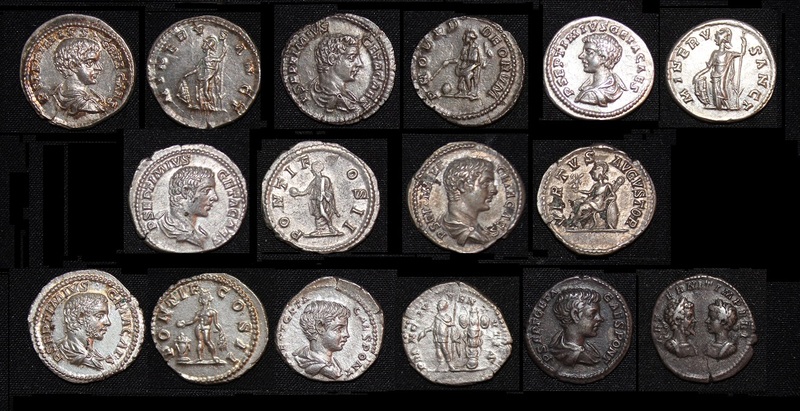 He traveled with his family during the Parthian War in 197 AD and the following year was given the rank of Caesar, while his brother received the greater title of Augustus. Following the Parthian war, Geta visited various parts of the Empire over the subsequent six years. In 205 AD, Geta served in the consulship along with his intensely jealous brother Caracalla. It appears that at this point in time what had been a rivalry degenerated into outright hatred. As a child, Severus always tended to favor his son Caracalla over Geta, which certainly did not help matters for Geta at all. Caracalla was married to the daughter of the Prefect of the Praetorian Guard, Fulvius Plautianus. This was a situation which intensely bothered Caracalla. In fact, he vowed to have her killed when he became Emperor. Caracalla’s hatred for his brother seems to have intensified follower the murder of Plautianus, in which Caracalla was most likely the mastermind. While Severus did what he could to ease the situation and the bequest of his wife Julia, his sons lived as bitter enemies. 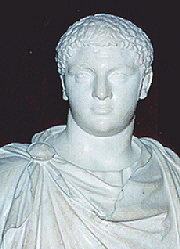 Geta served yet another consulship with Caracalla in 208 AD. When his father travelled to Britain, Geta accompanied with his brother and parents. In 209 AD, Geta was raised to the equal rank of Augustus with his brother and became administrator of the provinces in the isles while Severus and Caracalla marched against the Caledonians. 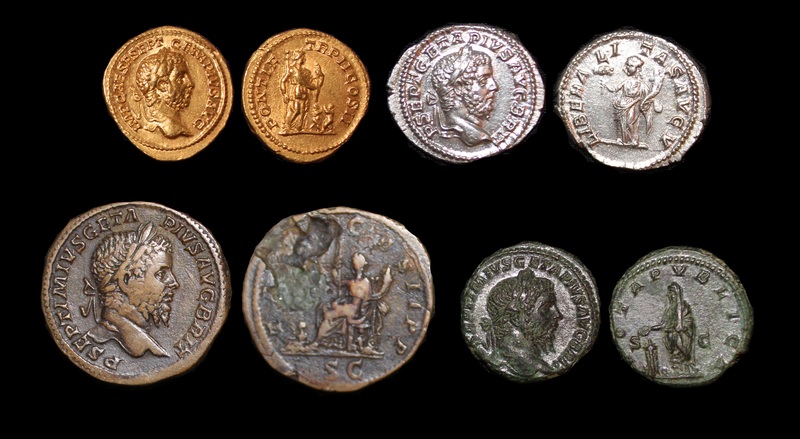 The imperial family remained in Eburacum (York) until 211 AD where Severus eventually died. Shortly before his death, Severus implored his two sons to make peace, but their hatred had existed far too long to be reversed at this point in time. Severus’ will stipulated that both his two sons should serve as co-rulers. At first, they worked in this fashion, yet never spoke or discussed matters with each other. After returning to Rome, the palace was physically divided in two so they would not have to see one another. Julia had hope that this would at least help to avoid open hostilities. This system led to yet another childish proposal to divide the Empire between them, but Julia would not allow their dispute to escalate to that extent. Caracalla worked to gain the upper hand where he began to act as if he were indeed the sole ruler of Rome. Without any consultation, Caracalla dismissed Geta’s aides in the court and began to plot his murder. After ending one such plan, Caracalla agreed to meet his brother in his mother’s apartment in February 212 AD. Caracalla insisted that Geta give up his office of Joint Emperor. It was ther in his mother’s apartment, that Caracalla ordered his solidiers to murder Geta in front of his mother. Geta died in his mother’s arms. Caracalla claimed that Geta had been plotting his murder in order to keep the support of the Praetorian guard. While Caracalla did provide Geta a proper funeral, he then ordered that Geta’s name be striken from all monuments and his image removed throughout the Empire. He then ordered the massacre of no less than 20,000 of Geta’s supporters and used the opportunity to murder his wife as well. Geta became TR.P.II. on January 1st, 210 AD, and his tribunician power was sub sequently renewed each year on that date. The portraiture of Geta on his coinage closely follows his physical development from a young child, through adolescence to early manhood where his portrait takes on the appearance of a mature man. From 209 AD, Geta’s portrait shows him with a full beard.